Originally funded on Indiegogo last year, the Lensta proved a crowdfunding smash hit thanks to its simple lens design that brought DSLR style magnification and features to your very own iPhone. And it's now making more waves as a new travel kit also hits Indiegogo. The brainchild of entrepreneur Ismat Ihsan Toffaha, the kit combines three separate additional camera lens in one package. The lenses comes with a leather bag so they are easy to carry around as well as a nice leather strap. Swapping out each lens is really simple, too. The lenses come with a dedicated, stylish leather iPhone case (which is available in black, brown and navy) and you can simply screw the lenses directly on to the case. You can then take wide angle images, create fisheye style effects or snap images at very close range, with a magnification of 10x, using the macro lens. You can pre-order your Lensta Lens Kit today on Indiegogo for $49 (£38) today. 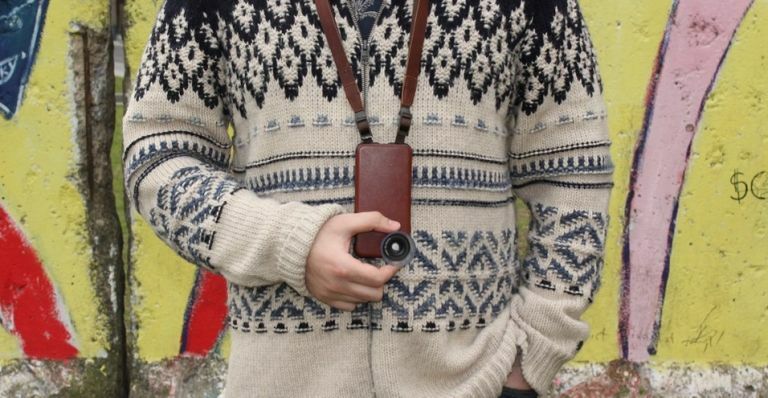 Is this the ultimate hipster lens? Urbanears has just launched its latest wireless product, the gym-ready Stadion earbud. It comes with some stretchy coils that adapt to the shape of your head, as well as 'EarClick technology' that ensures your earbuds stay firmly in place inside your ears when you're getting a good sweat on. The Stadion is Bluetooth ready for cord-free listening and hands-free calls, with a single charge gives up to eight hours of playback time. Use can use its hidden micro USB port to recharge like a pro. With all the buttons you need around back, there’s no reason to slow down. The Stadion's three-button controls enable you to click through your playlist, adjust volume and pick up calls without touching your phone. Add to that its built-in reflectors to keep you extra visible during late night runs and you've got a pretty sweet package. The Urbanears Stadion is available now in Rush (coral/gray), Team (blue/white), Trail (indigo/green) and Black Belt (black/gray) for £79. You know videogame development has come a long way when you play one of the most influential platformers ever... direct from your browser. Yes, this is no late April Fool - a team of modders has been hard at work bringing the original Tomb Raider (complete with unlocked framerates) to internet users around the world and the results are amazing. The OpenTomb project is an open-source collaboration that's aiming to bring the first five Tomb Raider games (TR, TR2, TR3, Chronicles and The Last Revelation) to your browser, modding each one from scratch. You can currently play the entire second level of the original game (the City of Vilcabamba) right here, with the option to play in both third-person and first-person. The team behind the project has confirmed it's tried to contact Eidos (the original publisher of the TR series), but failed to get a response and decided to build their mods from existing code.